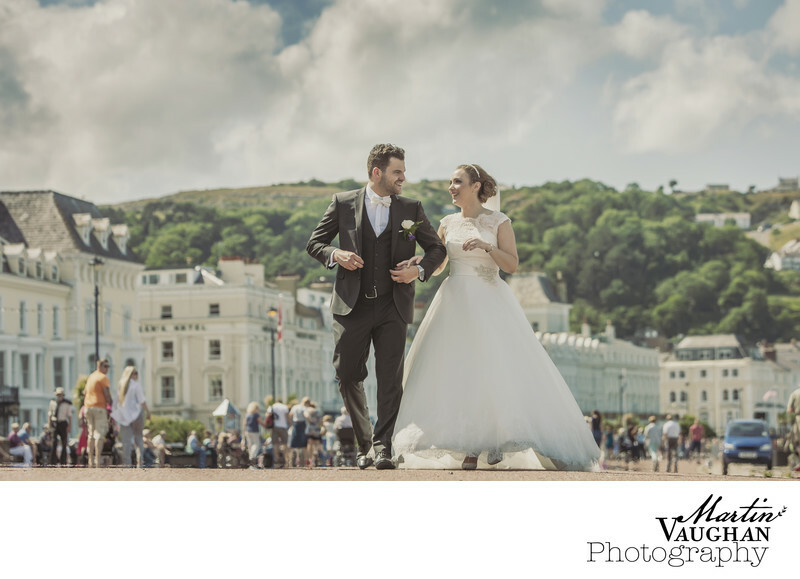 A stroll down Llandudno's historic Victorian promenade is always a wonderful idea on a wedding day. We love to expose a bride and groom to the general public and vice versa. The joy and excitement on the faces of the old and the young similarly and the way the couple feel so very special as people congratulate them creates a really lovely feeling which transmits through the images.